The popularity of Facebook, Twitter, LinkedIn, and other social media apps have shown how intertwined our lives are with our social connections. And with employee development being the need of the hour, the concept of Social Learning i.e, people learning from one another, has gained a great reputation for being effective, especially in the workplace. 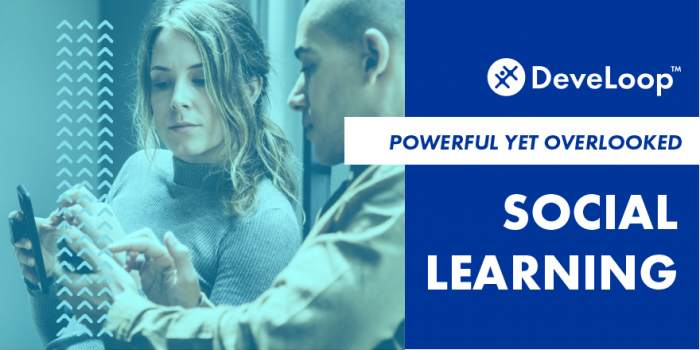 This infographic shows the importance of Social Learning and proves that now is the right time to focus on implementing such a practice within your organization. Learn more about our capabilities by clicking here – Talk to Us.